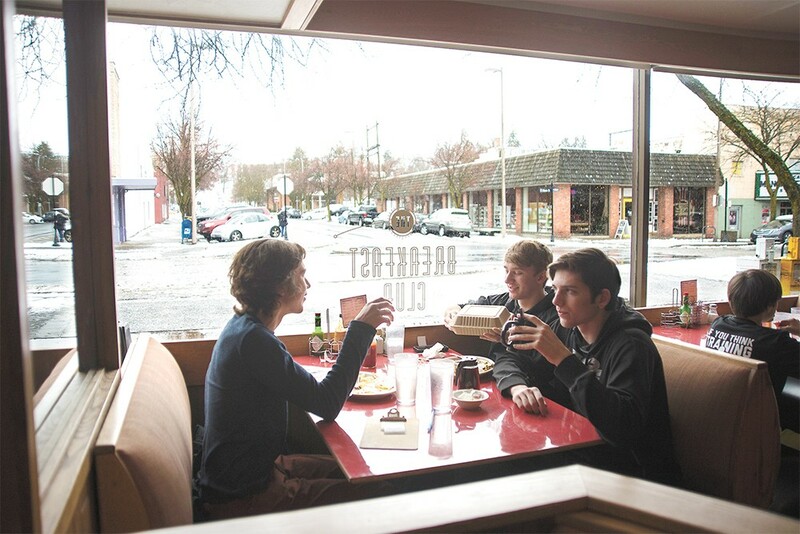 On a day in March when the Palouse woke up to a fresh blanket of slushy snow, Moscow schools called a snow day and three friends went to breakfast to celebrate. They picked THE BREAKFAST CLUB, their favorite spot. And they're not the only ones. General Manager Griffin Rod says The Breakfast Club's broad appeal helped it secure the spot of Best Breakfast of the Palouse this year. "We stick more to the family-friendly crowd," Griffin says. Workers come in early; some are daily regulars. College students flood the place on the weekends. They can keep things simple and order eggs, bacon, and toast with coffee, or breakfast foodies can get fancy with skillets or omelets packed with sumptuous meats, veggies and cheeses, washed down with a mimosa or latte. On a busy morning, The Breakfast Club serves coffee outside to diners waiting their turn. During the summers, they wind through the farmers market until they get a text from the restaurant, beckoning them to their table. People will happily wait an hour, Rod says. Over the nine years he's been at the helm, the region's love for breakfast has only increased. And he's glad to have such a great place to offer. 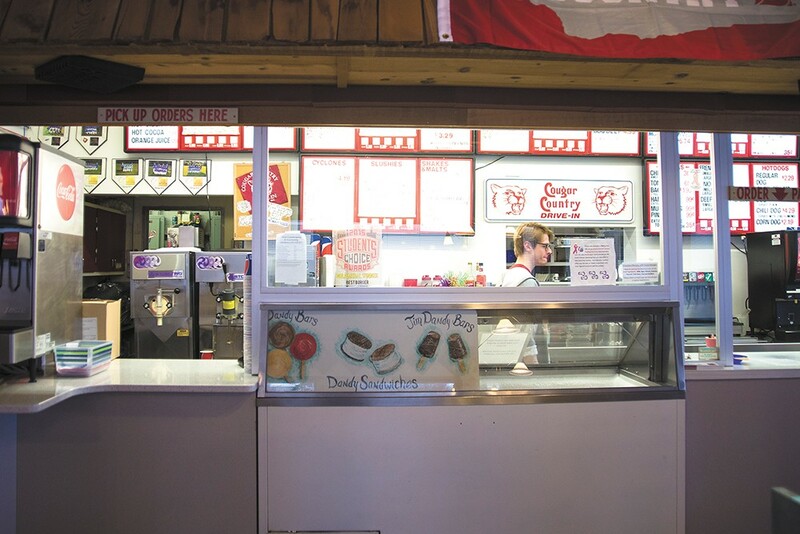 Best Burgers of the Palouse goes to COUGAR COUNTRY DRIVE-IN, a red-roofed burger shed whose marquee changes daily to reflect weekly specials, congratulate graduating staff or welcome Coug fans. It's not uncommon in Pullman to see a line of cars waiting in the center lane for their turn in the drive-thru line at Cougar Country, a 44-year-old institution beloved for its fry sauce and super baskets. The menu is unchanged after all those years, says General Manager Brian Power. Alumni return when they're in town, and local folks can expect the same bacon burger and onion rings they always have. "Classic Americana," Power calls it. "We're the only place like this on the Palouse." With three drive-thru coffee huts and a snug downtown café, THE DAILY GRIND is considered the best coffee shop on the Palouse. The downtown shop occupies two stores filled with a mix of comfy chairs, broad tables and plenty of outlets. Tami Dykes, who bought the Daily Grind four years ago, says the shop is great because it holds a lot of people. As coffee shops tend to do, they attract a crowd each morning. Dykes says she likes to be part of starting someone's day. "You really set the tone," she says. In the afternoons, tables are covered with laptops, notebooks and lattes as people settle in and get to work, getting by with a little help from their favorite fuel. 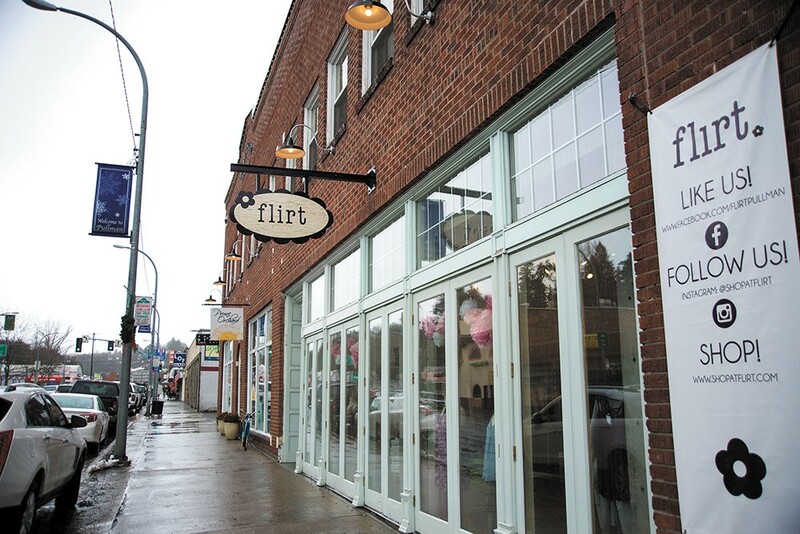 It's spring at FLIRT, named the Best Boutique of the Palouse, where the skirts and sandals are out on display. The women's clothing store sits on the corner on Grand Avenue and Main Street in downtown Pullman. Flirt offers everything from clothes and shoes to jewelry and other accessories. After opening their first store in Ellensburg in 2008, mother-daughter duo Mia and Maren Peterson brought their passion to Pullman three years later to offer the latest trends to a new crowd of college women — and their moms. THE COUG shines as the Best Happy Hour of the Palouse this year. Called "Awesome Hour," the Coug — formally known as the Cougar Cottage — offers $2 pints from 8 to 9 pm every day. But that's not the only thing Cougs love about their favorite watering hole. Many come for daily specials featuring burgers, tacos and cheap drinks. They pine for membership in the coveted Mug Club, which admits only about half of those who apply each semester. Members pay a one-time fee and get discounted beers for life. For any time there's not a deal going, the atmosphere is reason enough to go. Though it looks small, the Coug can pack in a large crowd of familiar faces, starting around lunchtime and lasting long into the night.